For most of us, flowers are beautifully arranged in a vase in our home to enhance the scent and sight of the space. 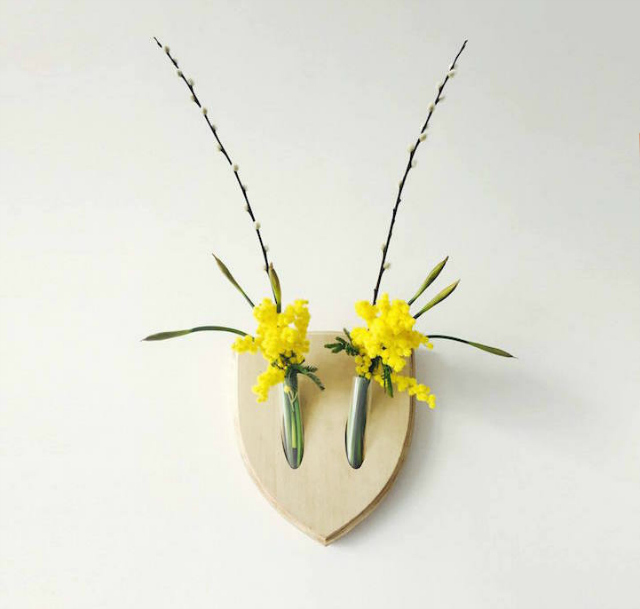 In Japan, the specific type of floral arrangement is considered a craft known as ikebana with a focus on minimalism and a harmonious combination of nature and humanity. 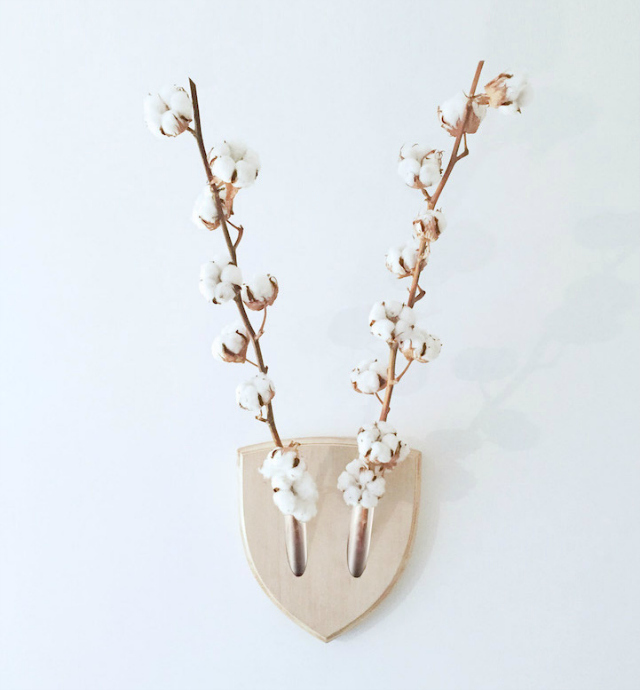 Designer, Fabio Milito, took this concept and applied it towards Elkebana, creating a playful twist on the craft and the notion of wall trophies. 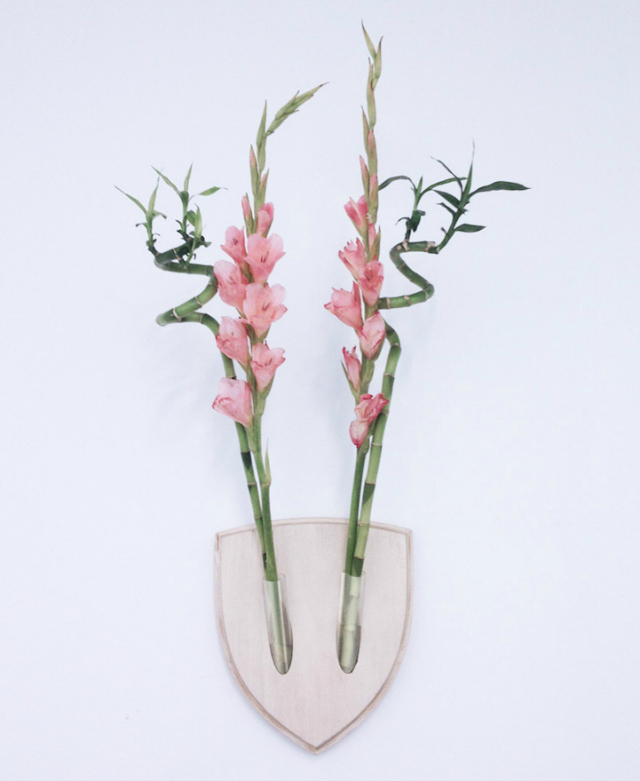 Collaborating with Paula Studio, the design team created two glass-blown tubes mounted on a birch wood base and arranged various flowers, branches and bamboo for display. 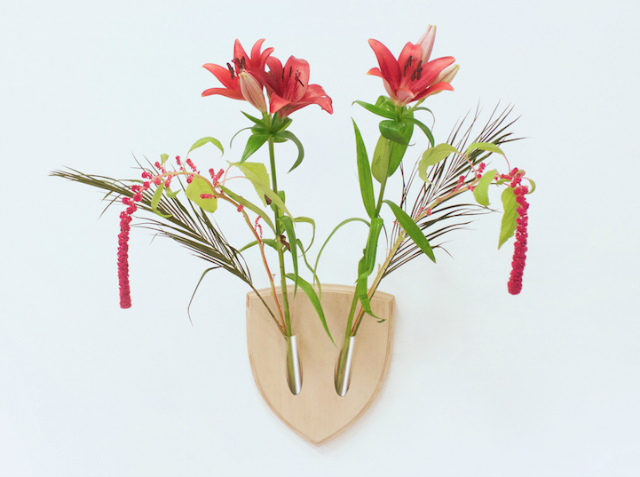 The product encourages people to proudly display their own arrangements in a trophy-like manner. 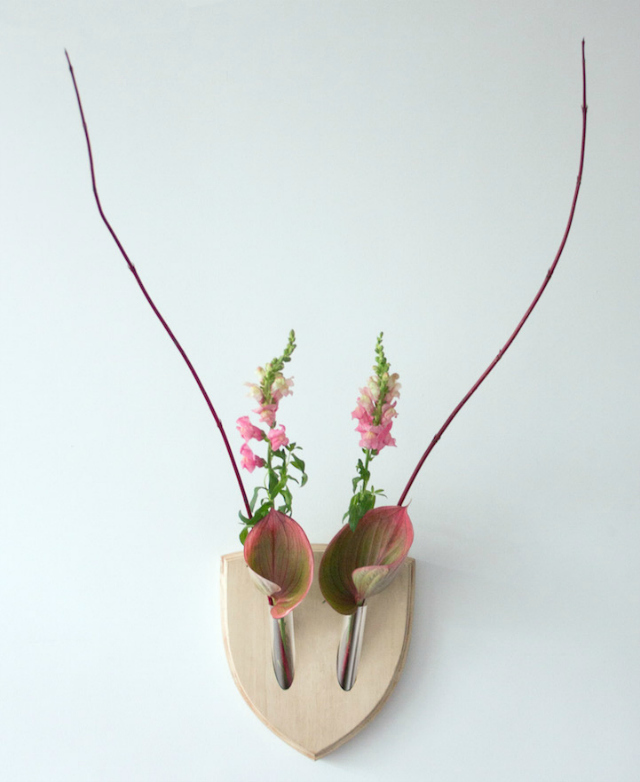 The result is a whimsical rendition of showcasing your botanical trophy. Elkebana is actually available for purchase through Crowdy House. How cute! I would love this above my desk! How charming! 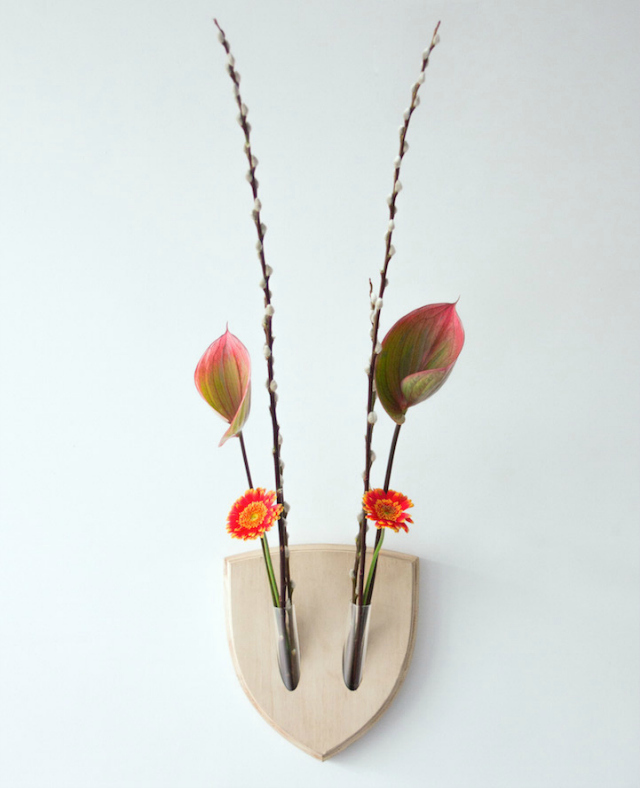 I really like how this type of display highlights the grace and form of whatever blooms are placed in there. Wow, I love the way this looks! I think the yellow blooms are my favorite and I like how you can really switch it up by putting different flowers in the tubes. I learned something new today! So interesting Nancy. These are so pretty! I want one of these! 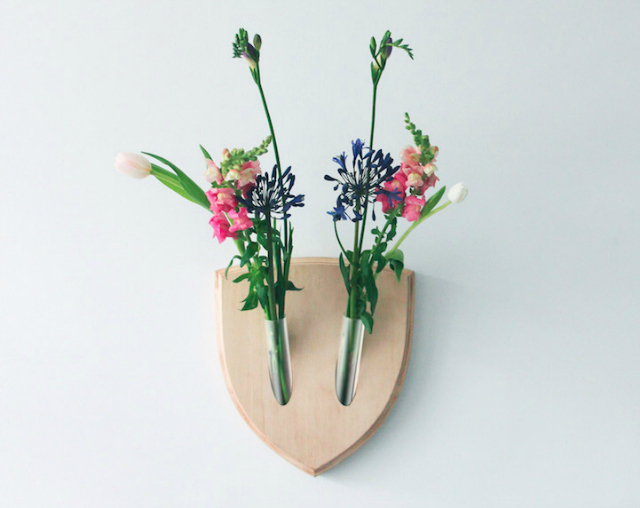 This is such a clever way to add flowers to the house! Great inspiration! Thanks so much for sharing! oh i would much prefer this than having an animal mounted on my wall. i get so creeped out when i see those as home decorations! these are gorgeous!